Have you heard of dry brushing? 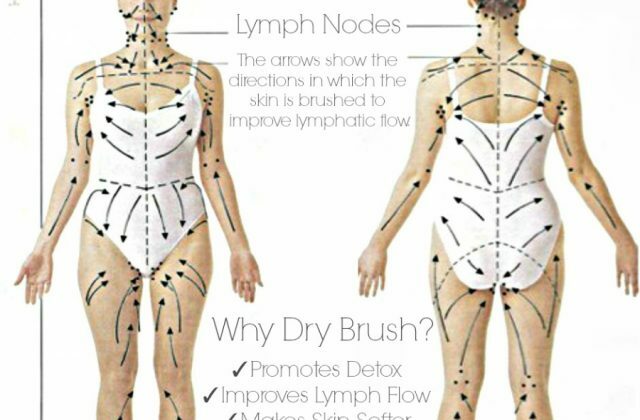 This article explains benefits of dry brushing thoroughly. But, put in a nutshell, it promotes circulation and helps the lymphatic system clean out toxins. Use a body brush or loofah to ‘sweep’ your limbs, torso and back, in a direction that always aims towards your heart. The touch or pressure should be light, not vigorous as you would if you were exfoliating your skin. Repeat for at least 5 or 6 swipes of each area. You can use your fingers on your face and chest, in the same direction, out and down towards your heart. Add light tapping to help decongest your sinuses during a cold. Take care and look beautiful by reading more articles in our blog!